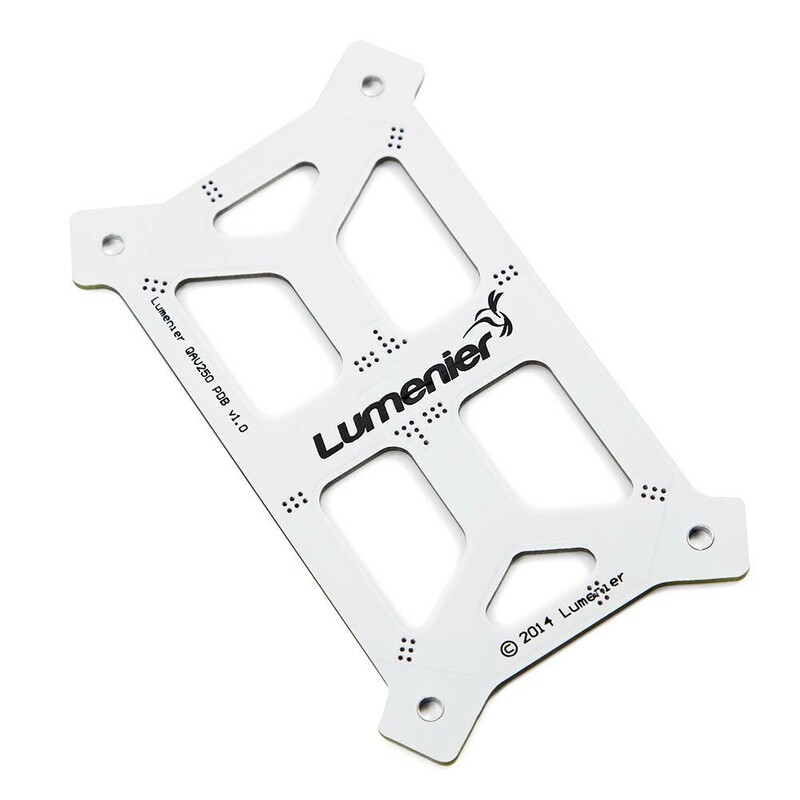 This is the Lumenier power distribution board v1.1 has thicker tracks to allower for higher loads and is for the use on either the QAV250 G10 Airframe V2 or the QAV250 Mini FPV Quadcopter Carbon Fiber Edition. 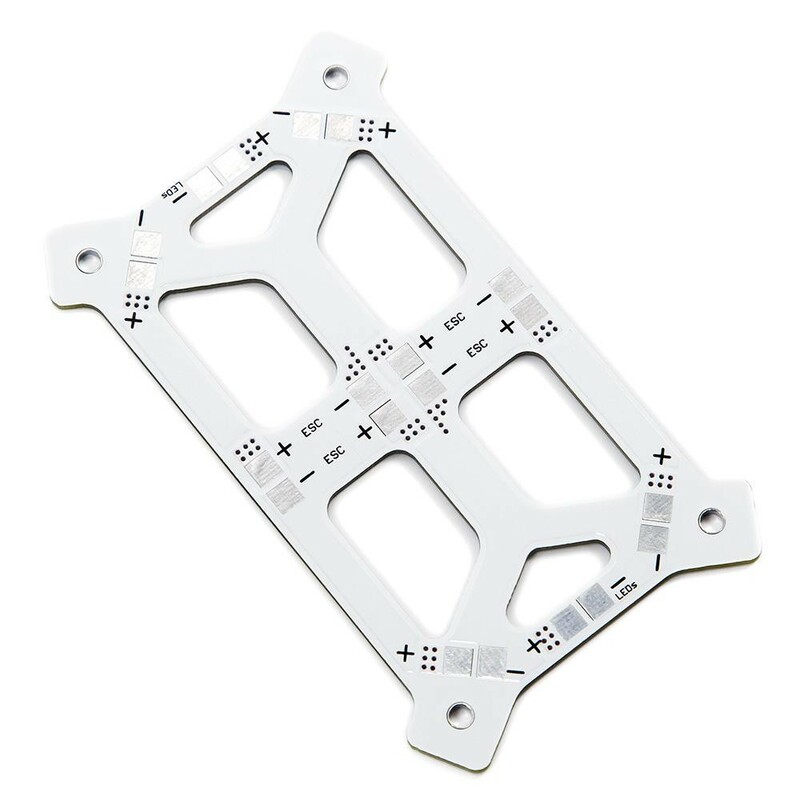 Using this PDB simplifies the ESC and power wire installation, the PDB gives you + and - solder pads to connect everything to for neat wiring, as an additional feature this PBD will also add additional rigidity to the airframe of your Mini FPV Quadcopter. I dislike the large gaping ESC ventilation holes, because they make small ESC's difficult to mount securely. 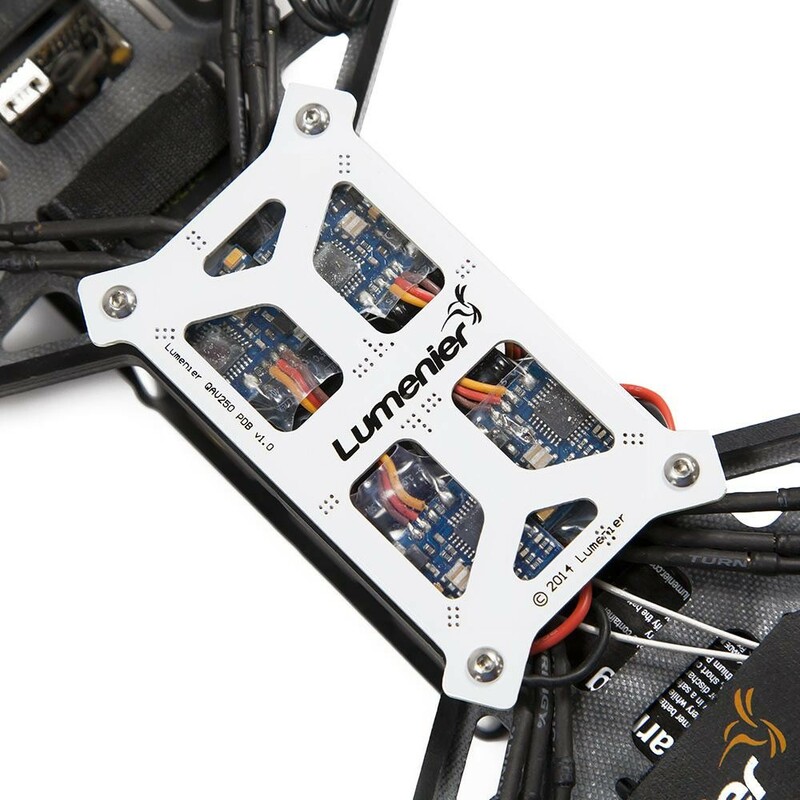 I want to be able to firmly stick each ESC to the plate, not leave it hanging by it's power cables which have a tendency to break as a consequence. Also, an extra mm on the spacers to prevent the board from bowing when thicker heat-shrink / double sided sticky pads used. To stop the bolts dropping out and the spacers making a run for it when fitting, tape the head of the bolts after you thread them through their respective holes and then pop the spacers on. The 3 star review reflects the product not BYOD and it's excellent service and turnaround.